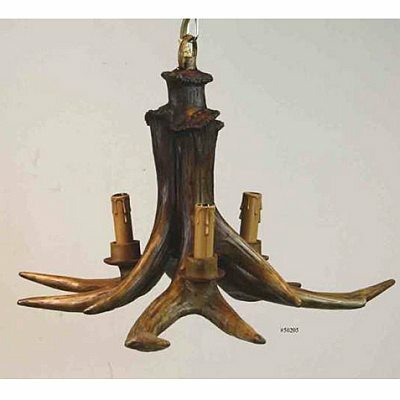 On May 2, 2011 Health Canada has recalled antler chandeliers by Jansen International Canada. This recall involves tan/brown antler design chandeliers with model numbers 50205, 50206 and 50320. The chandeliers are available in small or medium sizes. The affected chandeliers are not certified to Canadian standards and have not been evaluated for safety hazards. They may pose a fire hazard to consumers. At time of the recall neither Health Canada nor Jansen International Canada has received any reports of incidents or injuries to Canadians related to the use of these affected chandeliers. You should return the chandeliers to the place of purchase for a full refund. For more information, consumers may contact Jansen International Canada at 905-563-1822 or 1-800-337-6203. Approximately 52 units of the affected chandeliers were sold in various stores in Ontario and Quebec. These affected chandeliers were sold from 2010 to 2011. The product was manufactured in China. The importer is Jansen International Canada of Beamsville, Ontario.